At Bud Wildman’s Germantown, Md., shop, Precision Auto and Tire Center, digital multi-point inspections have replaced the previous paper and pencil versions. The paperless vehicle inspections are much more thorough, consisting of 10 vehicle condition photos, an in-depth color-coded report and a $525 average repair order. “Would you rather slip through 20 cars and sell an ARO of $150 or go through five cars and sell an ARO of $600 each?” Wildman asked. Since his shop began using Mobile Manager Pro, Wildman, whose shop won the Automotive Training Institute’s Top Shop Award in 2014, said his average repair order has increased from roughly $380 to $510 with mobile technology. For new customers, that amount is oftentimes much higher, he said. The shop, which generated $1.6 million last year, has an average car count of 72 to 80 per week. Wildman says he is currently tracking a 12% increase in gross sales this year and his average repair order continues to climb. Three months after he began using the software, Wildman said a first-time customer authorized an $850 repair ticket minutes after reviewing the vehicle condition photos and accompanying report that the shop sent to her via text message. In all, “99.9%” of the shop’s customers receive inspections and photos by text message, with a few requesting email. Regardless of how the information is sent to customers, Wildman said “it instantly creates a trust factor,” particularly with new customers. Prior to Mobile Manager, Wildman said inspections were done on paper and the shop had no effective way to communicate the urgency of repairs. Plus, Wildman said technicians are notorious for sloppy, unreadable handwriting – which is no longer an issue with the fully digital software. 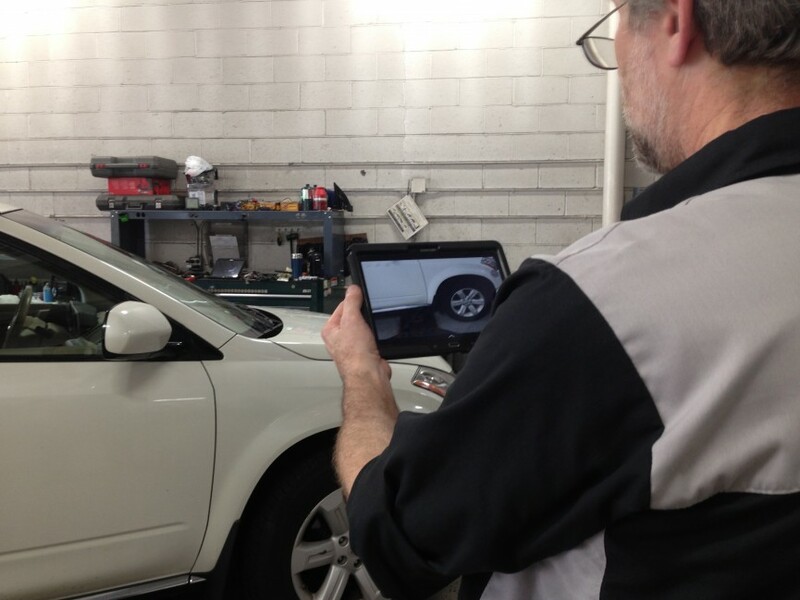 The tablet-powered auto repair software features VIN scanning and license plate decoding, which automatically populates fields with vehicle year, make, model and more. Data input through the tablet automatically transmits into the shop management system without any additional effort. For more information, click here: Mobile Manager Pro.